When I returned to work last Monday after the December holidays, I expected a fairly quiet, uneventful week. After all, the kids haven’t returned to school yet, many parents are still on leave, and the average home is relaxed and happy. Right? Wrong, very wrong. It seems that many families have not had the happiest of times. Of course there can be many reasons for this, but the theme of my first consulting week of 2016 has been the scourge of electronic screens. One parent after the other has lamented the ongoing battle to keep their kids away from the iPad and/or computer, and engaged in more constructive activities. When limits are set, temper tantrums ensue, sometimes even involving physical violence. It’s often just easier to take the path of least resistance for the sake of peace in the home. But what’s the big deal about screens anyway? If it keeps them happy (and out of our hair) why not let them play to their hearts’ content? Many parents intuitively know that it’s unhealthy for their children to spend hours on end in front of a screen, but here are five ways in which excessive screen exposure is impacting on your child’s development. you battle to think of anything besides it. Convinced yet? Scientific studies have also demonstrated that electronic gaming activates the same area of the brain (the nucleus accumbens, also known as the reward centre) as drugs of abuse such as cocaine. And internationally there is a burgeoning number of rehabilitation clinics specialising in internet and gaming addiction. 2. Electronic exploits produce a false sense of achievement. This holiday my 8-year-old discovered Pixel Gun, which he played through my facebook account. 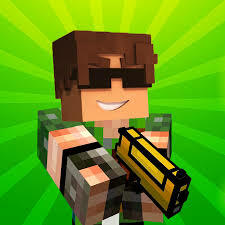 I know this because, having recently looked at my page after some absence, I discovered to my surprise that I have been proudly broadcasting my Pixel Gun achievements to all and sundry. Contrast this rather hollow achievement with same 8-year-old’s experience at Acrobranch, an outdoor adventure centre involving zip lines and obstacle courses. His sense of achievement having conquered his fear and successfully negotiated this real life challenge was palpably different to that produced by any kind of virtual success. I just hope he remembers the feeling. These days it has become commonplace for children to have TV’s, smart phones and tablets in their bedrooms. There is ample evidence from studies that the light emitted from these devices interferes with the physiology of sleep. Melatonin, a naturally-produced hormone which facilitates the onset of sleep, is suppressed by this light and insomnia is often the result. We then sometimes end up with the ludicrous situation of a child taking melatonin tablets to help overcome the melatonin suppression induced by Minecraft! Have you noticed this? If the game is going well, there is no problem, but as soon as things go wrong, there is wailing and gnashing of teeth. Gaming seems to induce irritability in even the most placid children. These emotional effects are especially pronounced in the immediate aftermath of a screen session, where kids are moody, defiant and lash out at each other. They also complain of being perpetually bored with ‘nothing to do.’ The brain’s reward centre has been ‘spoilt’ by a glut of stimulation, and nothing else can fill the void. In children who are otherwise prone to depression or other mood disorders, this can be a recipe for disaster. 5. Time on the tablet is time lost to other activities. This is what might be referred to as the opportunity cost of screen time. Even if one argues that electronic devices are innocuous in themselves, what about all the other things the child should be experiencing, learning and practising? Yes, even in the holidays. This is especially true for infants and toddlers, who are increasingly being given unbridled access to tablets or TV. These devices too easily become surrogate babysitters. In children as young as this, screen time interferes with attachment, the crucial developmental process by which children form secure emotional bonds with their mothers and fathers. Healthy attachment requires sufficient eye contact, physical touch, quality time and mother-tongue language stimulation. For all their other qualities, Barney and Bob the Builder can’t provide this! Part two of this blog will suggest a ‘game plan’ for parents to deal with screens in the home. Dr Brendan Belsham is a child psychiatrist and writer. His book, What’s the fuss about ADHD? is available through Amazon (click here).